Veteran aviation journalist Ben Sandilands has died after battling cancer. For the past decade, Sandilands covered aviation for the Crikey online blog Plane Talking, with his combination of analysis, comment and news often provoking much comment from readers. Even Qantas chief executive Alan Joyce was prompted to respond to one of Sandilands’ posts in June 2011. Previously, Sandilands covered aviation at Fairfax Media’s The Australian Financial Review and The Sydney Morning Herald mastheads through a period where Australian Airlines and Qantas became one, Ansett folded, Virgin Blue emerged and then morphed into Virgin Australia, as well as the arrival on the local scene of low-cost carriers in the form of Jetstar and Tigerair Australia. This body of work over the close to 60 years was recognised with a lifetime achievement award in 2015 from the National Aviation Press Club. 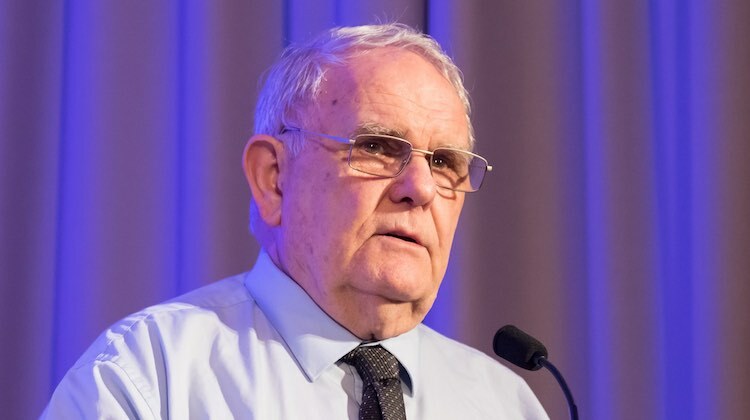 Aviation journalists and industry figures took to Twitter to pay tribute to their colleague, particularly Sandilands’ deep knowledge of the industry gained from his decades on the beat. Long-time aviation editor at The Australian and now editor/Asia Pacific bureau chief for Airline Ratings Steve Creedy said Sandilands was a larger-than-life colleague whose sharp observations and passion for aviation would be sorely missed. Reuters Asia aviation and defence correspondent Jamie Freed, who previously covered aviation for Fairfax Media in Australia, said Sandilands was an “industry legend”. Qantas pilot Captain Richard de Crespigny expressed similar sentiments. Farewell Ben Sandilands @PlaneTalking, a legendary aviation journalist and friend. Aviation and I will miss you. Thanks and RIP. And Australian Business Traveller recognised Ben as “immensely knowledgeable and deeply passionate”. Australian Aviation sends its deepest condolences to the Sandilands family. Ben cast a considered and critical eye. The scope of his analysis was greatly enhanced by his insight into the environmental, economic and political doctrines in which the industry operates. What a loss. Ben came with us to PNG for an adventure on Mount Wilhelm and to Walindi Resort. A trip that I know he never forgot. I will never forget Ben. Vale Ben – very sad to hear this news but glad that this is where I learned it. I met Ben at the very start of my career in airline PR sent to meet him under instruction of John Tilton to ‘toughen me up’ as well as John Stackhouse, John Spiers and a youngster Tony Harrington. To me than, Ben was terrifying – an encyclopaedic font of aviation knowledge waiting to be aired. But quickly and over the years I understood him to be irrepressibly passionate about the industry, fond extremely of his family, colleagues and competitors, a gentleman (even when he was almost yelling at me – probably deserved) and above all a truly kind human being. Ben’s reputation extended well beyond Australia. He was respected, admired, followed, assiduously read, and often consulted by people all over the world, including this Kiwi now living in Seattle. It will be much harder for many of us to write sensibly without Ben’s wise counsel and endless knowledge. He generously informed the informers, and helped us compensate for not also having his irreplaceable sixty years of industry wisdom and endless common sense. Keep fighting the good fight wherever you are mate. I was saddened to hear the news. A truly passionate journalist who did not mind ruffling a few feathers. Always going beyond the spin that most journalists would regurgitate. My condolences to his family. I was shocked because I only spoke to him early last month. Rest in Peace. We will miss you. Rest In peace Ben. You certainly were one of the best at your art. You will be missed by readers everywhere who had the greatest respect for you. I did not know Ben, though have read many of his posts and articles and assumed he was a much younger man gauged by his knowledge, honesty and communication style. How I wish we can learn from and honour Ben Sandilands as @Barry Jackson suggests by NOT writing regurgitated spin. Sadly “spin” is in every part of our lives from frustrating “political speak” through to dodgy advertising and sadly even in aviation reporting…. I will mindfully read aviation articles in particular and pose the question, how would Ben have reported that? RIP Ben. You reached out with your words to many, like me, who did not know you personally, however you were known by and respected for your consistently honest and intelligent writing. Your legacy to me is to always endeavour to maintain those high standards. Thank you Ben. My condolences to Ben’s family, friends and colleagues. Ben old codger, we had a few sparring matches, but all good mate. Some day I will come and join you then we can continue our debates. I’ll bring you news if they find out what happened to MH370. For those of us who love Aviation, your well- informed articles would be sorely missed. We’ll always be grateful for all your knowledge shared with the rest of us, about our common passion. Aviation. RIP Ben.